Klock Werks Kustom Cycles is beyond honored and humbled to have the opportunity to partner with Indian Motorcycle on a project that pays tribute to the outstanding service men and women of our country. 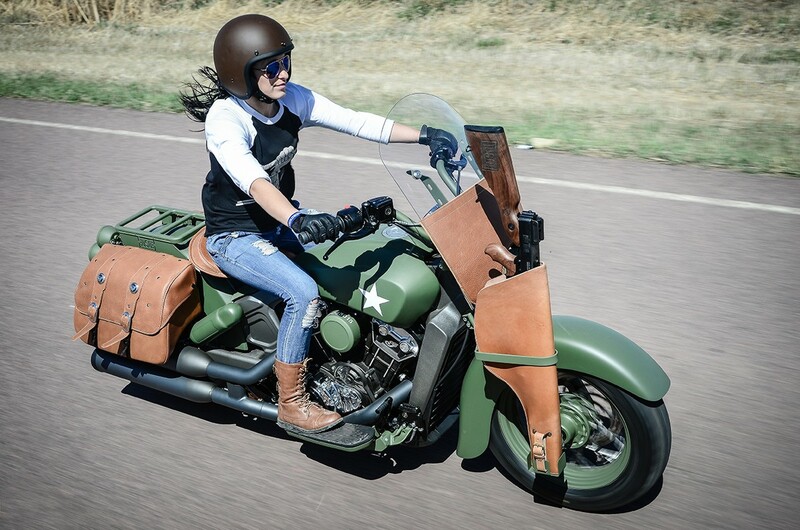 With an impressive track record of supporting U.S. troops dating back to WWI, Indian Motorcycle has always believed in the importance of standing strong to support the Military. The 2015 Scout was the perfect platform for Klock Werks to build a military tribute style motorcycle; The USO Scout. 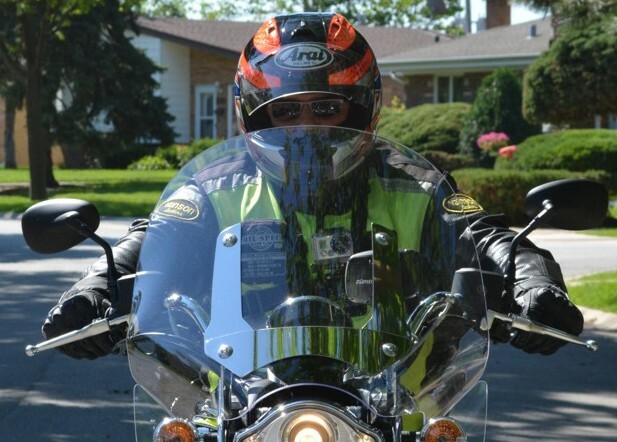 The motorcycle has long been a staple in the military ranks as a workhorse, but beyond that and more importantly it helped build the morale of those serving on deployment as a symbol of hope. Hope in one day returning home being reunited with family, friends and a great American motorcycle ride. 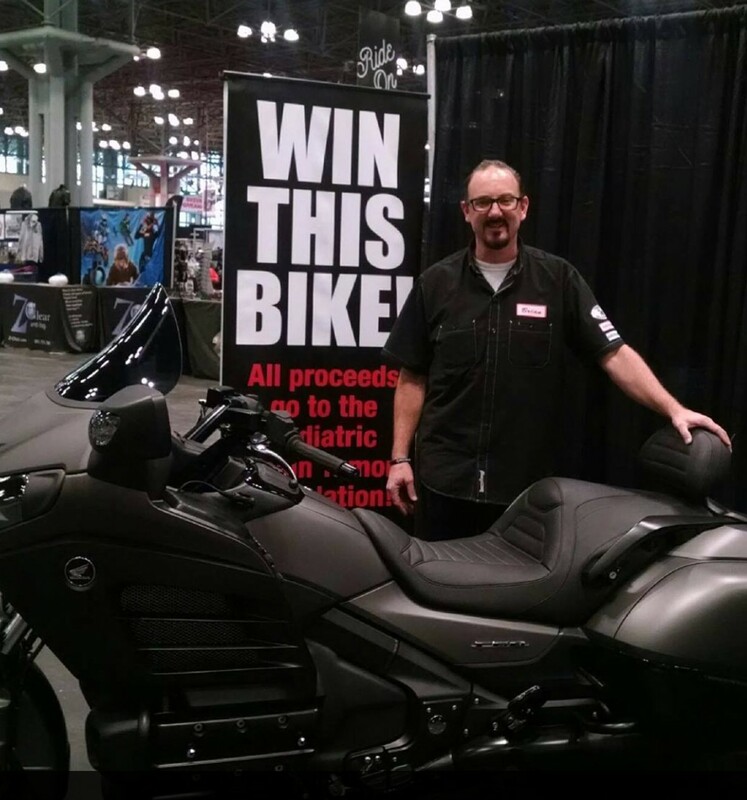 “The USO does so much as a non profit for the moral of our troops and entertainment during those long stints away from family, we are proud to give back in such a way that utilizes the talents of our team and a great motorcycle like the Scout”, said Brian Klock, founder of Klock Werks. The matte green paint is indicative of a vintage military bike, and was perfectly applied by Brad Smith of The Factory Match. The USO Scout features taillights that are modern street legal reproductions on a custom bracket to mimic the original lights used back in the day. The saddlebags seen are an Indian Accessory; the “Klassic” seat kit has been custom upholstered using the exact same hides as on the saddlebags. That same leather wraps the base of the Indian quick detach windshield. 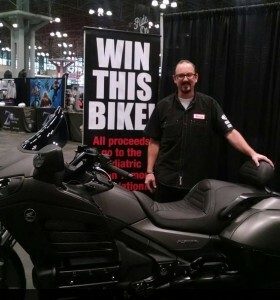 The front fender is a Klock Werks “Klassic” design for the new Scout model. The fork caps and rear shock covers are custom rapid prototype parts designed on Klock Werks Stratasys equipment. The Indian Chieftain floorboards feature custom Klock Werks designed mounting brackets and hardware. The luggage rack is a custom one off billet top with metal side plates featuring the USO logo. The exhaust has been ceramic coated to blend with the frame coloration. The right side features a “Klassic” round cover with a faux serial number for effect. The custom gun scabbard mount holds a Thompson sub machine gun with a custom gunstock by Boyds Gunstocks of Mitchell, SD. The USO and Indian logos are both featured in the wood.